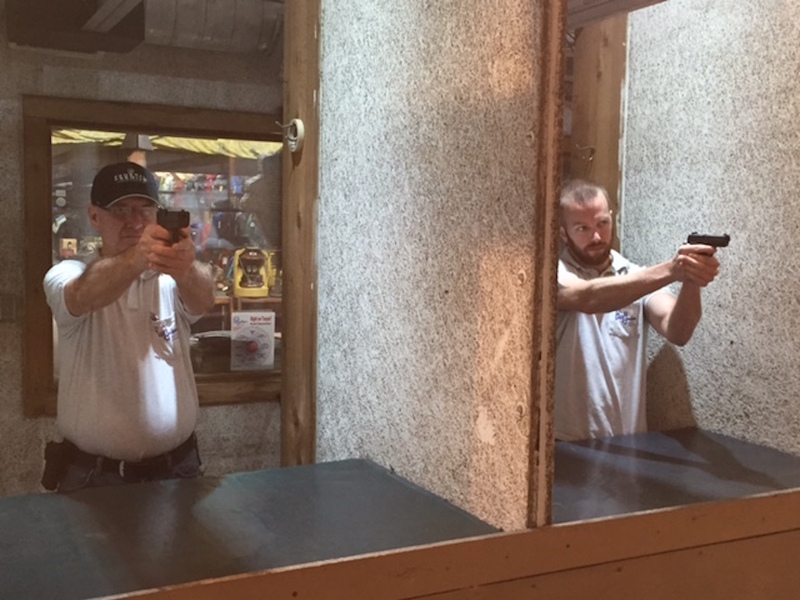 Our air-conditioned six-lane pistol range is open every day, and there is never a time limit, so you don’t feel rushed. However, we do on occasion close the range temporarily for maintenance. A liability waiver must be signed before each range use, and shooters must abide by all posted range rules. The minimum age requirement for handguns is 21; age 18 with parental supervision. We welcome .22 through .45 caliber pistol ammunition. We also allow 22 rimfire rifles. The minimum age requirement for a 22 rimfire rifle is 14 with parental supervision. Hearing and eye protection (available for rent) are required. Targets and ammunition are available for purchase.